Our first conservation will be a Pilot project, dedicated the church of Yemrehanne Krestos, situated in the region of Amhara, some 40 km north of the renowned town Lalibela. 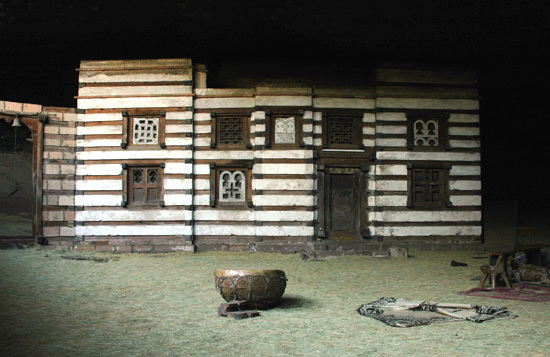 This is one of the most precious medieval churches in Ethiopia, placed in a huge cave and is said to have been built by king Yemrehanne Krestos. It is preliminary dated to the first half of the 12th century and reminds in its attractive architecture, also as regards its technical details, about buildings in the old Aksumite Kingdom (150 B.C. – ca 700 A.D). With its three naves and the aps, richly adorned with colourful ornamental painting covering ceilings and arches and with its unique murals in the northern aisle, this church as well as the adjacent palace, where the king is suppose to has resided, constitute a priceless cultural heritage, however in increasing decay and great need of repairs and conservation as well as a careful cleaning in all its parts. Mr. Tadesse Girmay, will be one of our first trainees. 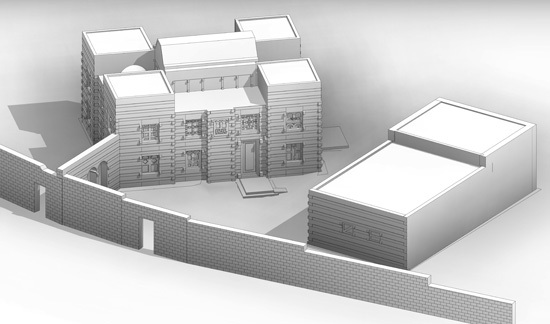 Tadesse is a young architect with his activities based in Addis Ababa (see his drawing above). He derives from Amhara and has a deep interest in the issue of cultural heritage and conservation in his country. 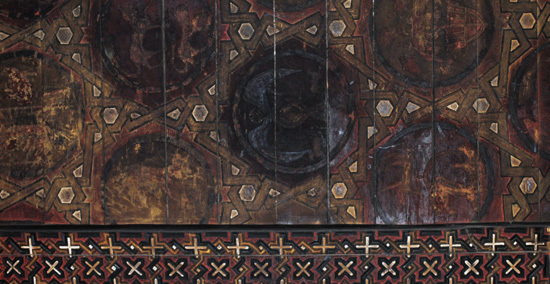 As a sign of this dedication he presented a MA thesis in 2009 on one of the famous medieval monasteries in Ethiopia: A study on the Conservation of the Monastery of Gunda Gundo (Eastern Tigrai).